MAGIX Music Maker 17 is the easy to use solution music production software to make music easily: If you've never made music, you can still get started right away and make your own songs. MAGIX Music Maker 17 offers the easiest start that you could imagine. You can look forward to hearing something very special - your own songs! A massive sound archive featuring over 1,500 sounds and loops. Ability to record on 64 audio and MIDI tracks. 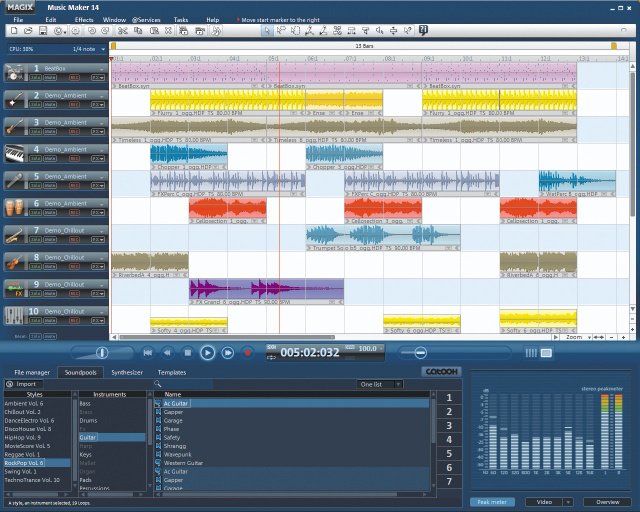 Magix Music Maker is easy-to-use music production software to make music easily. ...... transformed however you want. In a short time, your own perfect songs will be ready in CD quality. MAGIX Music Maker 17 is the easy to use solution music production software: If you've never made music, you can still get started right away and make your own songs. If you are a musician, you will love the software tools available to polish your masterpiece. Create professional music in the popular midi format. Qweas is providing links to Magix Music Maker 17 as a courtesy, and makes no representations regarding Magix Music Maker or any other applications or any information related thereto. Any questions, complaints or claims regarding this application Magix Music Maker 17 must be directed to the appropriate software vendor. You may click the publisher link of Magix Music Maker on the top of this page to get more details about the vendor.